Yosemite’s waterfalls are diverse and dramatic. They draw visitors to the park from around the world, and spring is the best time to witness their full power. Between March and May, the waterfalls reach their peak flow and put on a spectacular show. 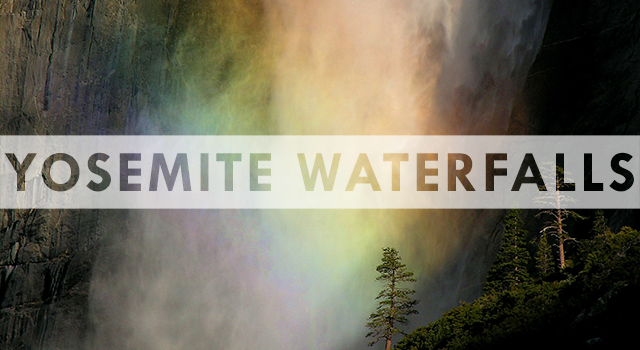 If you can’t marvel upon them in person today, build your excitement with a few Yosemite waterfall facts. 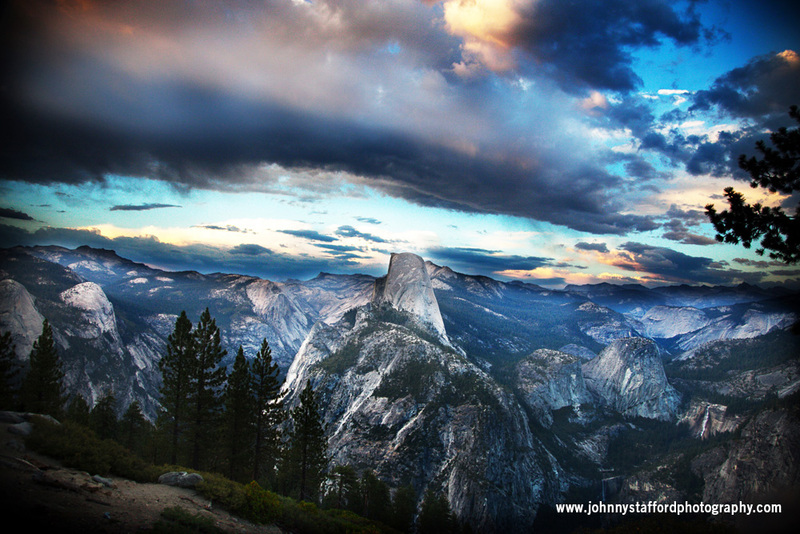 The highest, the tallest…: Yosemite waterfalls claim some impressive records. At 1,612 feet tall, Ribbon Fall is the highest single drop of water in North America. The combined cascades of Yosemite Falls make it the tallest waterfall in North America and the 5th tallest in the world. This famous 2,425-feet-tall waterfall sends 135,000 gallons of water over its edge every minute during its peak season. Horsetail Fall phenomenon: Under the right circumstances, a small waterfall pouring over El Capitan appears to catch fire during the sunset. Drawing photographers and visitors from around the world, the Horsetail Fall phenomenon only occurs in years with enough snow or rain for a waterfall to flow during mid- or late-February where the sun’s angle hits it perfectly. The earliest known photograph of the firefall was taken by Ansel Adams sometime in the 1930s, but it was black and white. The first known orange glow photograph was taken by Galen Rowell in 1973. Two types of waterfall formation: There are two types of waterfalls in Yosemite Valley. In “hanging” waterfalls, the water appears to drop from the sky at the top of steep cliff faces. Bridalveil Fall (as well as Yosemite Falls, Sentinel Falls and Ribbon Fall) was formed when one side of the Sierra block rose faster than the other and the Merced River barreled down into Yosemite Valley, leaving Bridalveil Creek stranded far above the valley. The Ice Age and years of water wear have left Bridalveil Creek with an even steeper drop today. Vernal and Nevada Falls were formed differently. Glaciers from the High Sierra came down and trimmed away rock only in portions of the stairway. The tougher rocks were left behind and formed the Giant Staircase that Vernal and Nevada Falls now pour down. Why some waterfalls dry up: Bridalveil Fall almost never goes dry, but Yosemite Falls only flows for part of each year. Yosemite Creek, which feeds Yosemite Falls, was almost entirely glaciated about 20,000 years ago and is now bare bedrock. During big storms, Yosemite Falls quickly swells and the water runs straight into the falls, but it doesn’t stick around for long. And since it’s largely fed by melted snow, its season typically ends when the snow is gone. Bridalveil Fall, on the other hand, has a smaller basin but has many meadows, lakes and patches of soil near the basin that contribute to a more constant flow regardless of rainfall. Frazil ice: In winter, the mist coming off the waterfalls freezes into small crystals of frazil ice. This ice moves downstream in a slurry mixture that flows like lava. Frazil ice can become thick and act like cement, causing channels to clog up and changing the flow of the stream. Yosemite Creek at full force can flow up to 100 cubic feet per second, and when frazil ice is involved, buildings and foot bridges can be easily damaged or destroyed by the strong flow. Frazil ice has been observed in all of the valley waterfalls. Danger: Sixteen water-related fatalities occurred in the park between 2002 and 2011. Waterfalls and rivers in the park draw visitors to their beauty but they can be extremely strong and unpredictable. Most fatalities occur when visitors leave the trail to take photos, wade in shallow water, attempt to cross streams or try to swim. The rocks around the rivers in Yosemite are not only water-polished but glacier-polished, so they’re especially slick. Poloti witches in Yosemite Falls: An old Ahwahneechee tale warned that the pool at the bottom of Yosemite Falls was inhabited by the spirits of Poloti witches. In the tale, a woman went to fetch a bucket of water from the creek. When she pulled it up, she found it full of snakes. Each time she scooped out water, she found more snakes. Eventually a sudden gust of wind blew her into the pool. Pohono’s evil spirit: Another Native American myth tells of Pohono, an angry spirit who cursed Bridalveil Fall. Pohono is felt in the cold wind that blows around the waterfall. In the legend, a woman at the top of the fall went close to the edge to gather grass to weave a basket. 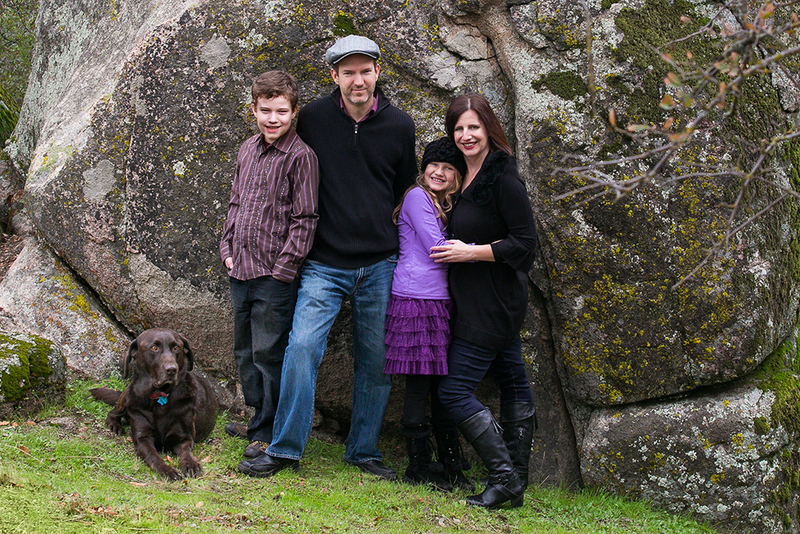 Pohono placed a mossy rock near the fall to lure her near and then sent her down the falls. No one found the woman, and legend says Pohono imprisoned her spirit until she lured another victim down. 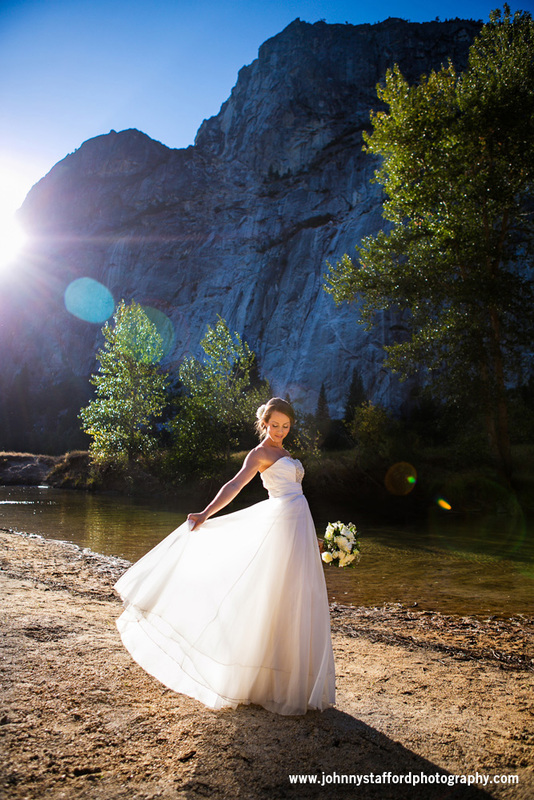 Do you have a favorite Yosemite waterfall or story? Share with us in the comments! Information gathered from Yosemite National Park’s Nature Notes, an interview with Greg Stock (NPS geologist), Oh Ranger, Domes, Cliffs and Waterfalls, The Waterfalls of Yosemite brochure by Steven Medley/Yosemite Association, and yosemite.ca.us. Hotel La Casa Nevada at the base of Nevada Fall in Yosemite. Imagine waking up to the thunderous roar of Nevada Fall – one of Yosemite Valley’s famous waterfalls – just outside your window before you start your day of exploring the Sierra Nevada. 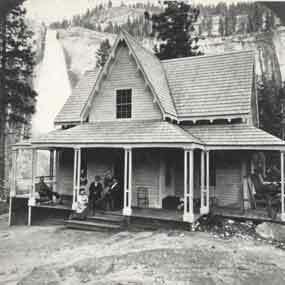 In 1870, you could do that by claiming a room at the Alpine House located at the base of Nevada Fall. Operated by Albert and Emily Snow, the simple Alpine House also became a favorite lunch stopover for riders and hikers in Yosemite, where Emily Snow was known equally for her good cooking and her bad jokes. With the addition of another building and expansion of the original one over the years, in 1875 the Alpine House became La Casa Nevada – “The Snow House” in Spanish. Though the Snows survived an earthquake in the spring of 1872 that moved the original Alpine House two inches to the east and stopped the flow of Nevada Fall for almost a minute, La Casa Nevada would not last into the 20th Century. The hotel served many park visitors until the hotel was foreclosed on in 1897. The buildings fell into disrepair after they were abandoned and were eventually dismantled by the State of California in 1900. For a hundred years after La Casa Nevada shuttered its views of Nevada Fall, park visitors could find broken glass in the vicinity of the hotel’s location resulting from the consumption of “Snow Water”.